Early darkness invites to many lights. and start the Christmas season in the big garden. My favourite new flowers in Kew! 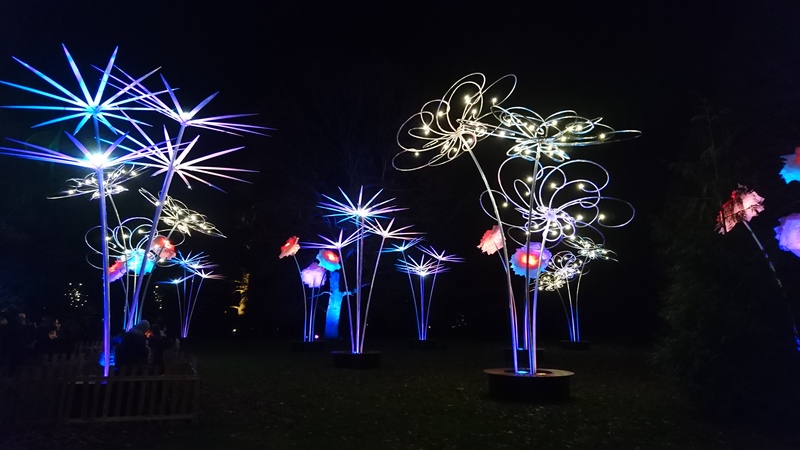 There were light shows with music, laser light pictures projected on a screen of a water fountain, green laser lights with fog, amazing displays of colourful lights, a whole field of lights changing colour with the rhythm of the music and much more. Too much to capture everything on camera. Of course there was mulled wine and hot chocolate too! I did capture it all in my memory! Please click on the picture to enlarge them.